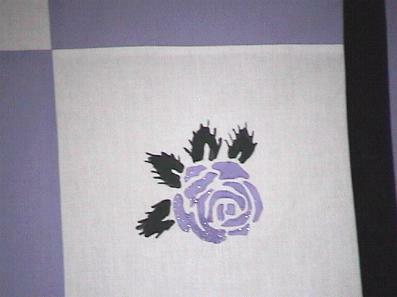 This is a beautiful Lavendar and white painted roses quilt top that I made. 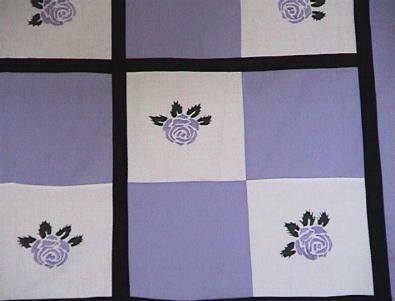 This nice quilt top is made with a gorgeous painted roses all over. The paint has been heatset. Notice the glitter on the roses. Nice green leaves with little stickettes -like real roses. 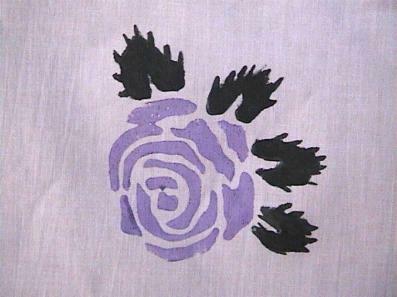 Great for lavendar/purple lovers and everyone. Very nice. Fabrics are good quality 100% cottons. Make this a family heirloom. Use it throughout the year. Great for a wall or lap quilt. My tops and blocks are trimmed and pressed and ready for your project. This is the top only. You add batting, backing and your favorite quilting designs.